Pan Wang scored in double figures in each of the last five games. 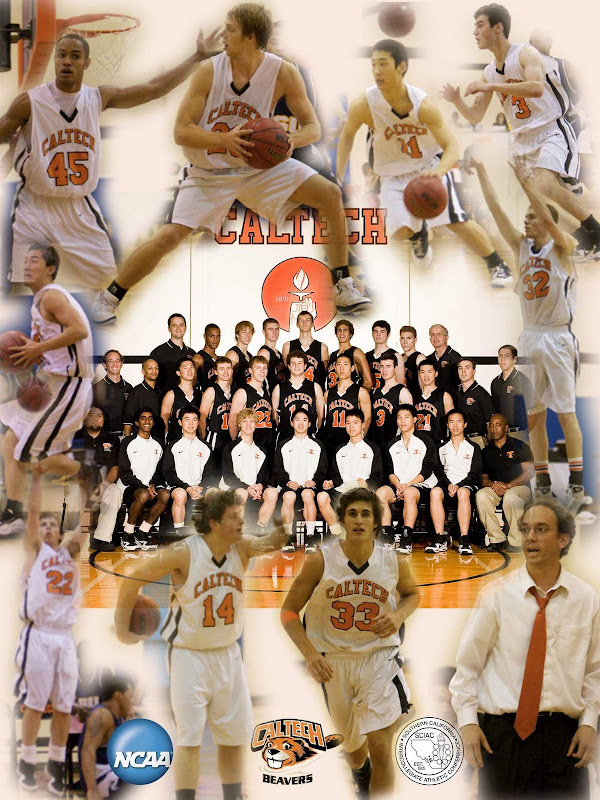 As the Caltech basketball program evolves, milestones continue to materialize. The Beavers won program changing games this year during the non-conference slate. Significant wins on the road at West Coast Baptist and Macalester preceded an exciting home win against Babson College, an always strong program from New England. 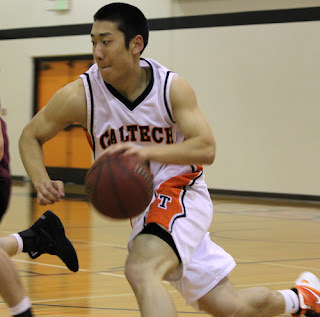 With additional wins over University of Dallas and Pacifica College, all five victories mark the first time Caltech triumphed against said schools. The Beavers played competitive games against several SCIAC opponents, and along the way more records were set. The Beavers' 3-point defense and steals per game were good for second and third in the SCIAC, respectively. Junior Michael Edwards, who was named to the all-conference second team, scored his 1,000 point during the Babson game and finished the season with 1,200 career points. With the mark, he moved past the legendary Fred Anson '54 and into fourth all-time on the career scoring list. He needs just 98 more to pass George Papa '94 and become the program's scoring leader. Edwards scored a season-high 28 points in a home win versus Pacifica College. Junior Ethan Boroson tied a program record with 5 steals in the game against Babson, tying the figure set by Matt Dellatorre '09. Junior Alex Runkel recorded three double-doubles, including an emphatic one in a close game against Occidental where he scored 16 points and hauled in 16 rebounds. Juniors Collin Murphy (15 points at Redlands) and Pan Wang (20 points vs Whittier) set career-highs for points in a game. Sophomore Mike Paluchniak scored a season-high 10 points on two occasions (vs UC Santa Cruz and at Claremont-Mudd-Scripps). Freshmen Andrew Hogue and Bryan Joel etched their names into the program's top 10 for 3-point field goal percentage in a season (.333 and .367, respectively). They each scored 16 points versus La Verne, a season-high for Hogue, while Joel poured in a season-high 22 at West Coast Baptist. Edwards, Hogue, Joel, and Wang each hit at least four 3-pointers in one game on separate occasions. Seven different players led Caltech in scoring or rebounding in separate contests during the season.